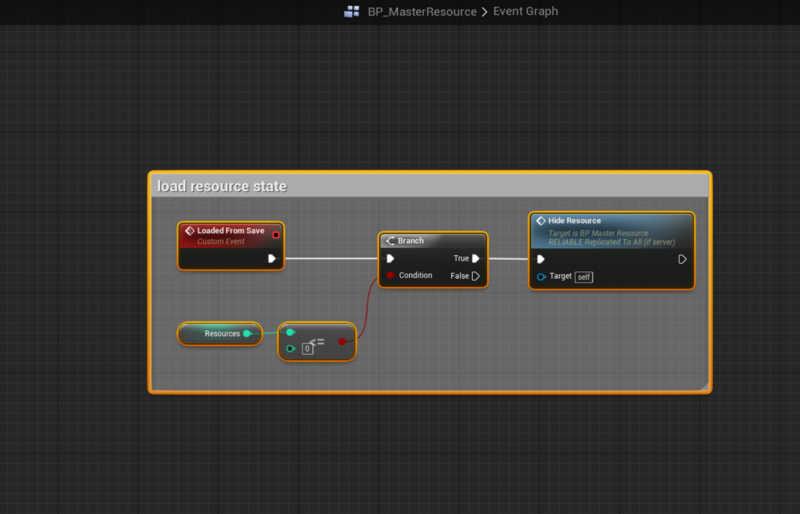 Next copy the section shown below, you will need to create the event nodes. Make sure that you set the correct nodes to multicast and tick the reliable box. 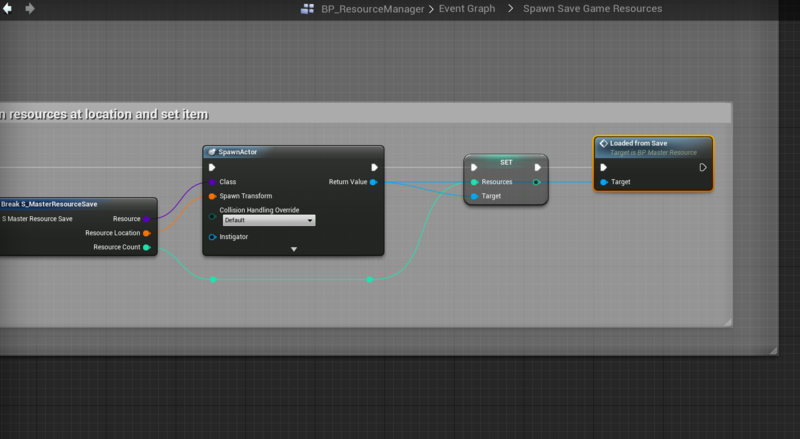 Also you will need to create a variable type called name to connect to the Set Collision Profile Name node, and set the default value of this variable to BlockAll (This name exactly) after this tick the eye next to the variable like you did with the respawn time variable. 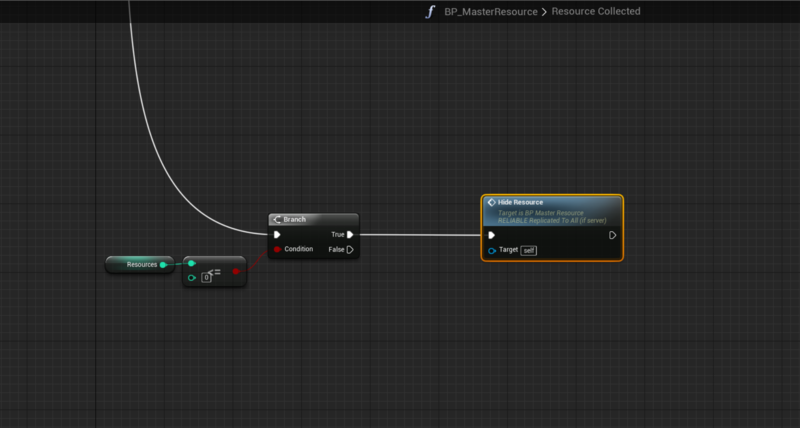 In the BP_BushResource in the class defaults after doing this change this variables value to Trigger. 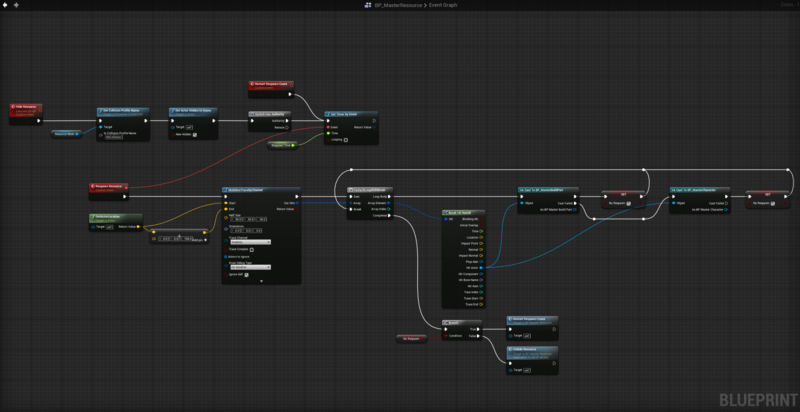 Next copy the section shown below, you will need to create the event nodes. Make sure that you set the correct nodes to multicast and tick the reliable box.